The University of Southampton is to share in £18 million of funding for 13 new industry-academia networks in industrial biotechnology and bioenergy. The Networks are funded by the Biotechnology and Biological Sciences Research Council (BBSRC), and aim to boost collaboration between the academic research base and industry, promoting the translation of research into benefits for the UK. Industrial biotechnology is the use of biological resources, such as plants, algae, fungi and micro-organisms, materials, chemicals and bioenergy. Bioenergy is renewable energy made from biomass, which is organic material derived from plant or animal matter. Universities and Science Minister David Willetts said: “To get ahead in the global race we need to turn our world-beating science and research into world-beating products and services, as set out in our Industrial Strategy. Anaerobic Digestion is a natural process where plant and animal materials (biomass) are broken down by micro-organisms in the absence of air. Naturally occurring micro-organisms digest the biomass, which releases a methane-rich gas (biogas) that can be used to generate renewable heat and power and thus reduce fossil fuel use and greenhouse gas emissions. Rapid advances in our fundamental understanding of these microbial communities, however, mean these systems could also be manipulated to produce other valuable bio-based products. 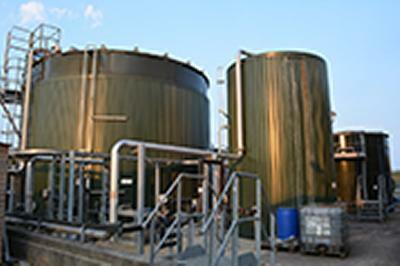 Professor Charles Banks, Head of Water and Environmental Engineering at the University of Southampton and Director of the Anaerobic Digestion Network, says: “Anaerobic digestion is an established technology for waste management and bioenergy production, but could benefit hugely through knowledge transfer from recent exciting advances in industrial biotechnology. Dr Celia Caulcott, BBSRC Executive Director, Innovation and Skills, said: “These networks bring together a number of internationally competitive, cross-disciplinary communities capable of undertaking innovative research that will attract further investment from the UK and abroad. Each network includes funds to support a range of small proof of concept research projects, to demonstrate potential benefits for end user industries. The networks will then work with industries to investigate these research challenges further. Many of these ideas and collaborative links will build into the next phase: the Industrial Biotechnology Catalyst, funded by BBSRC, the Technology Strategy Board (TSB) and the EPSRC, to be launched in early 2014 to support the development of ideas from concept to commercialisation. The catalyst has benefited from recent cash injections and will now offer £45M funding to support major integrated research projects involving collaborations between academic and business communities that will offer clear commercial potential. These new schemes form the central part of BBSRC's strategy to support the development of Industrial Biotechnology and Bioenergy (IBBE) as a key component of the UK bioeconomy and will help to provide sustainable processes for producing bio-based alternatives products which currently rely on petrochemicals.